GREEN SMOOTHIE INSPIRED CONDITIONER FOR A HEALTHY SCALP AND HAIR: Briogeo's Be Gentle, Be Kind Kale + Apple Replenishing Superfood Conditioner is specially formulated for those with dry, lifeless, and dull hair that are looking to supplement a healthy diet with a parallel hair care regimen. 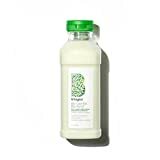 This nutrient-rich, green smoothie-textured conditioner hydrates dry hair and replenishes dull, lifeless strands with daily nourishment for healthy-looking hair. PACKED WITH POWERFUL NATURAL INGREDIENTS: By harnessing the power of fruit and vegetable fatty acids, vitamins, and minerals, this conditioner helps to revitalize hair, making it the perfect addition to your wellness routine. It is infused with kale, a rich source of Omega-3 and Omega-6 fatty acids, and procyanidin-rich apple to replenish dull, parched locks with a super-charged boost of nourishing vitamins and hair healthy ingredients. ADDITIVE AND CRUELTY-FREE: Briogeo is proud to say that our Superfood Conditioner is 97% naturally derived. Specially formulated, this conditioner does not include harsh sulfates (SLS/SLES), silicones, parabens, phthalates, DEA, or artificial dyes. It's certified gluten-free, cruelty-free and suitable for vegans so you can feel good about looking good! For best results, pair with the Be Gentle, Be Kind Matcha + Apple Replenishing Superfood Shampoo. PERFECT FOR TREATED HAIR: The incredible ingredients in this hair replenishing conditioner make it the ideal product for hydrating and maintaining treated hair. Whether you routinely color your hair or use a keratin or chemical treatment, the unique blend of natural ingredients will help keep your hair looking and feeling its best!